I realize that I’m giving you a lot to choose from on the weekend of May 21st, but luckily you don’t need to choose. 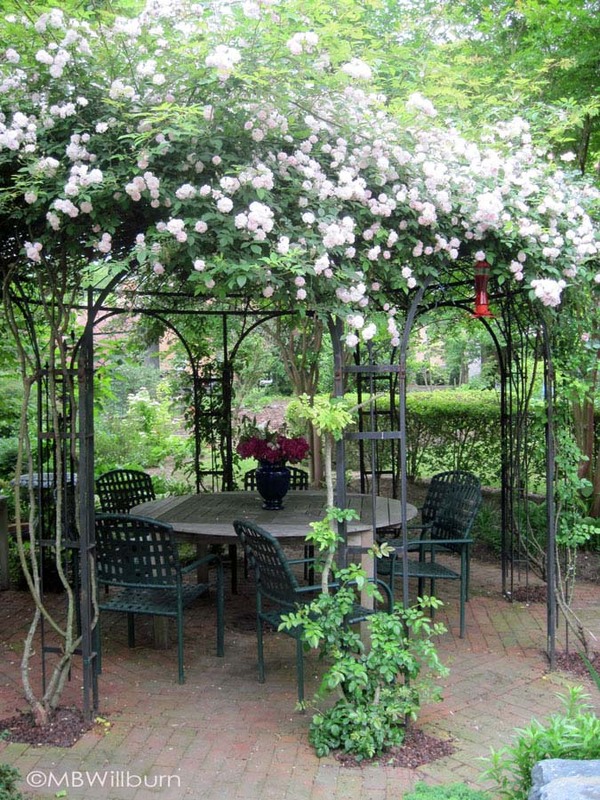 Garden tours in Frederick, MD and Shepherdstown, WV run on both Saturday AND Sunday! You’ve already heard a bit of news about Frederick’s tour, but if you’ve never made the gorgeous drive to Shepherdstown and experienced its bohemian university town atmosphere with a fine arts flair, you’ve truly missed out. The Back Alley Garden Tour is a special one, highlighting private gardens that capture the coolness and quirkiness that is Shepherdstown. If you’re looking for a place to eat afterwards, check out The Blue Moon Cafe and order their artichoke dip, and make sure you give yourself enough time to go back in time at O’Hurley’s General Store. Stone, bone, iron and water are the basic elements of towns like this. 250 years of history in 1.5 square miles creates an infusion of ancient and modern, immaculate cultivation and playful wildness. Enjoy dooryard gardens and backyard retreats, with merchants and homeowners sharing a unique, wonderful esthetic for all things that grow; a tradition as alive today as at the founding of our town. Enjoy unlimited visits to these gardens over the two days along with admission to one Tea. Leave with great memories and loads of ideas for your own space. Many local merchants are planning specials to entice you to stay for dinner and spend the evening listening to jazz, Appalachian Folk or myriad eclectic musical talent, from classical to modern. Worth it. Very worth it. Ticket information here.